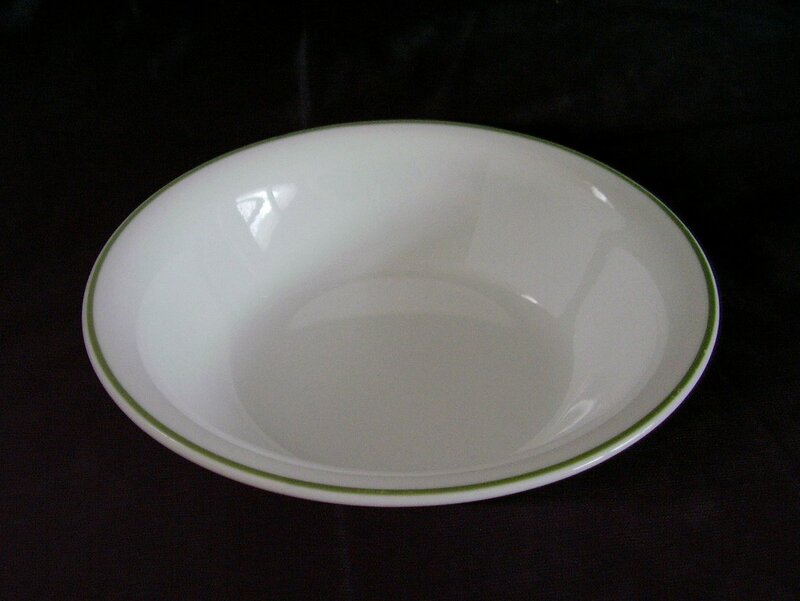 Corelle soup or cereal bowl. This is the all white with the green band around the rim. Microwave and dishwasher safe. In good used condition, it has no cracks, chips. 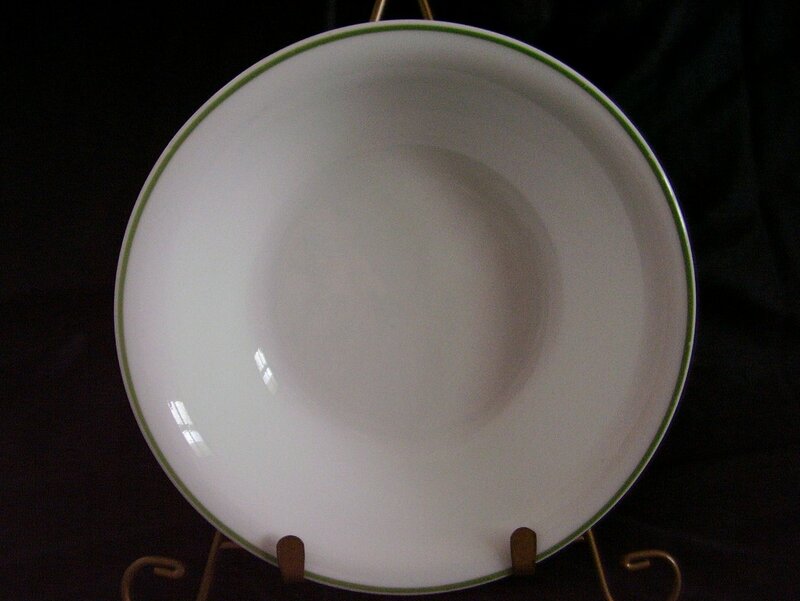 Corelle soup or cereal bowl. This is the all white with the green band around the rim. Microwave and dishwasher safe. In good used condition, it has no cracks, chips. Decals are bright, shiny and intact. There is some very faint utensil usage noted but only when tilted to the light. The bottom shows some minor rub from being slid around. Measures 1 5/8 inches tall and 7 1/4 inches in diameter, holds 16 oz. There are extras available.